In 2018, the mantle of Trinity Grammar School’s leadership will pass from the school’s long-time principal, Milton Cujes, to Tim Bowden, who currently heads Inaburra School, located in Sydney’s southern suburbs. 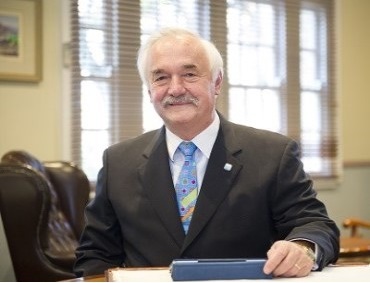 Below, Cujes speaks to The Educator, and reflects on the educational excellence and leadership he has driven during his tenure as headmaster at one of Sydney’s most prestigious schools. TE: Can you tell us about some of the most notable ways that Trinity Grammar has been driving educational excellence throughout 2017? MC: This year’s achievements include utilisation of the School’s recently commissioned Field Studies Centre in Huskisson to enhance engagement and delivery of the Middle Years curriculum in areas such as Geography and History, through an intensive ‘hands-on’ residential experience that also strengthens social and interpersonal development. As a Registered Training Organisation, the School celebrated the inaugural graduation of 19 students who qualified for Certificate II in Leadership Through Cadets – a unique, nationally recognised qualification in leadership developed by the School which is delivered from Years 8 to 10. TE: How do you expect Trinity Grammar’s students to fare in the upcoming HSC and IB results? MC: Students at Trinity have consistently achieved excellent results in both the HSC and the International Baccalaureate (IB) Diploma which now is undertaken by some 50% of our Year 12 students. I am confident the 2017 results will be of a similar high standard, reflective of the boys’ positive effort and commitment which saw them working diligently right through to the last period on the last day of school. The team effort between parents, talented and professional staff, and our pastoral care framework overseen by 16 Senior Housemasters provides our boys with the necessary support to achieve their academic potential. TE: What would you identify as the most significant milestones during your time as the headmaster of Trinity Grammar School? MC: The past 21 years has witnessed considerable development and expansion in terms of facilities, educational innovation, and the expansion of curriculum offerings. The Field Studies Centre, establishment the additional primary feeder school, the Junior School, and the completion of the Centenary Centre/sports facilities are just three examples in terms of capital works. From a curriculum perspective, highlights include the successful introduction of the IB Diploma programme (in 1998) and the IB Primary Years Programme, as well as the School’s accreditation as a Registered Training Organisation offering vocational subjects. In pastoral terms, we introduced the Middle School concept, which saw an additional 16 positions of pastoral responsibility introduced, together with the establishment of the Trinity Education Support Services Department (which now employs seven Counsellors). However, from my perspective, of perhaps greater significance has been the school’s ability to remain true to its foundational Christian ethos. In increasingly challenging times, the school has continued to provide our boys with an engaging, purposeful and relevant exposure to a holistic Christian educational philosophy which sees them “grow in wisdom and stature and in favour with God and man”. The ability to both nurture and challenge our boys from a very young age, to emerge as young men of character, with the potential to play their part as responsible, contributing citizens, is no mean feat and one of which the school can be proud. Fill in your email details for an immediate FREE download of this whitepaper from The Educator Higher Education.